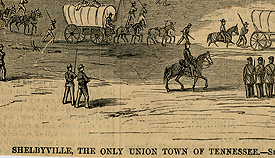 The General Assembly of Tennessee purchases 100 acres of land for $1 to create the county seat of Bedford County. 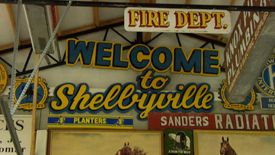 Nine years later, Shelbyville is incorporated. Shelbyville’s courthouse square becomes the model for new county seats built throughout the region. 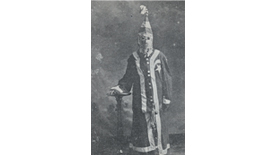 The Ku Klux Klan is founded in nearby Pulaski, Tennessee; its reign of terror extends to Bedford County where white Shelbyville teacher John Dunlap is ordered to leave town for teaching blacks. 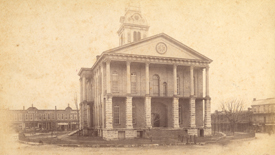 Rioters burn the courthouse after the mistrial of E.K. Harris, a young black man accused of assaulting a white female student. By the end of a chaotic week, four men are dead and a body is missing from the morgue. Harris is retried in Nashville, convicted and electrocuted in 1936. 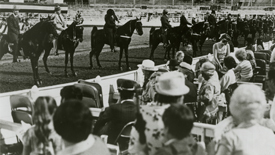 Strolling Jim, ridden by Floyd Carothers, is Grand Champion at the first Tennessee Walking Horse National Celebration. The annual Celebration continues to this day. After the Civil Rights Act of 1964 passes, the first black students attend Central High School. In 1967, all-black Harris High School (formerly the Bedford County Training School) merges with traditionally white Central High School. 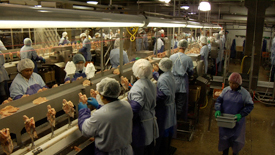 Tyson Foods acquires local poultry processing plant, Dixie Home Foods. The decade brings a 1500% increase in the Hispanic population of Bedford County. Many first arrivals work in the Walking Horse industry; others find jobs with Tyson’s poultry processing plant or in automotive manufacturing. Bedford County records the highest concentration of Hispanics in Tennessee, at 7.5% of the total county population. Tyson Foods and 6 managers (including 3 from Shelbyville) are indicted for smuggling undocumented immigrants into the U.S. and providing fake work documents. 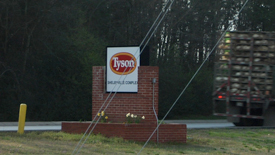 Tyson claims that individual managers acted alone. A judge dismisses 24 of 36 counts. In 2003, a jury finds Tyson not guilty on all charges. El Centro Latino is founded to serve as a cultural, learning and resource center for the Hispanic community. Somali refugee arrivals to the U.S. spike after the State Department agrees to resettle members of the Somali Bantu who have been living in Kenyan refugee camps since the 1990s. 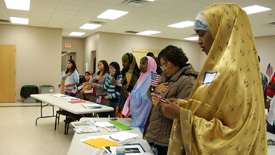 In 2004, there are 13,019 Somali refugee arrivals nationally and 348 direct arrivals in Tennessee – up from 1,708 nationally and 60 in Tennessee the year before. 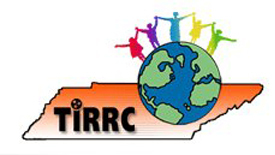 The Tennessee Immigrant and Refugee Rights Coalition (TIRRC), under its Welcoming Tennessee Initiative, holds Immigration Clinics in Shelbyville to offer legal advice on immigration for the Latino community. St. William Catholic Church dedicates its new facility on South Brittain Street; the growth of its congregation is attributed to the town’s increased Hispanic population. 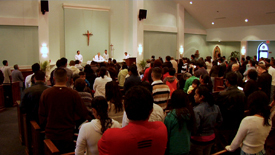 Several years earlier, the congregation welcomed its first bilingual priest. 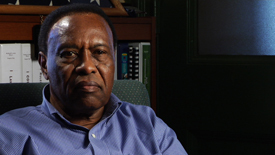 Mayor Eugene Ray takes office as the first black mayor of Bedford County. TIRRC’s Welcoming Tennessee Initiative runs a billboard campaign in cities throughout Middle Tennessee, including Shelbyville, designed to positively influence public attitudes towards immigrants. The Times-Gazette publishes a series of articles by reporter Brian Mosely about Somalis in Shelbyville. 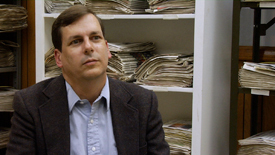 Mosely wins the Malcolm Law Memorial Award for Investigative Reporting from the Tennessee Associated Press Managing Editors (TAPME) for his series on Somali immigrants. Tyson Shelbyville gains national attention after the union negotiates for workers to receive Eid al-Fitr (a Muslim holiday) as a paid holiday in exchange for Labor Day. After public outcry, the union and Tyson agree to reinstate Labor Day as a paid holiday and to offer Eid al-Fitr in 2008 only. Summit Polymers and Sanford Brands announce the closing of Shelbyville facilities. Sanford said it would close its manufacturing facility but open a new packaging facility; total job loss is projected at 438. The facility closings were named “the top local story of 2008” by the Times-Gazette. Producer/Director Kim A. Snyder begins shooting for her documentary Welcome to Shelbyville, executive produced by BeCause Foundation in association with Active Voice. 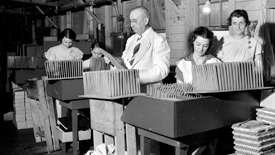 A shoving match erupts at the local employment office as locals and immigrants compete for scarce jobs. Locals accuse Nashville charities of bussing in immigrants to take local jobs. The Wall Street Journal reports that 14 refugees from Burma were among the 51 people hired at Tyson through employment center referrals. Nashville TV station WSMV reports that Tyson officials have contacted federal authorities about threatening graffiti—initially reported as anti-American—found in a restroom at the Shelbyville plant. Tyson does not confirm the content of the graffiti. The milestones of a town play an important role in the formation of its community, especially those experiencing demographic change. Above is a selected timeline of economic and demographic events from Shelbyville’s past and present.